A Unique Leadership Opportunity Awaits You with Project Management for Change!! Are you interested in furthering your career, building your network of professionals, making new friends, strengthening your leadership skills, learning and gaining resume building experience in new areas, and revolutionizing the project management profession? Want to have more meaning in your life? Then become a Project Management for Change volunteer! PM4Change has an incredible opportunity for you to do something that is satisfying and of great service to your community using your professional experience and expertise. Over the last 2 years PMDoS, thanks to all of our wonderful volunteers, has helped over 200 nonprofit organizations in the U.S. scope and plan their most pressing organizational initiative. We love the work we are doing with PMDoS, but why stop there? As project managers, we know we aren’t done when the plan is built. Project Management for Change plans to implement programs to further support the nonprofit community in delivering on their projects. We are seeking responsible individuals to help us deliver these new services, as well as continue to grow our fabulous Project Management Day of Service event. Stay tuned to our newsletters where we will unveil our plans for taking this event global over the next year. EARN PDUs: In addition to PDUs for your volunteer time, volunteers will be invited to attend FREE seminars provided by PM4Change on relevant project management topics. Click here to see a listing of all open volunteer positions. PMDoS 2016 Survey Results Are In! Thank you to all of you that participated in the survey. We were very pleased to have collected input from 100 of our PM volunteers and 31 of the NPO participants. This information will be very valuable as we begin our lessons learned and planning for PMDoS 2017! As always, there will be things we will work to do better next time, but the results overwhelming indicate that all parties were exceedingly happy with the event – even though all parties agreed that we needed… MORE COOKIES!!!! Despite long registration lines and a desire to learn more about the process and each other in advance, over 90% of our volunteers and NPOs felt they were extremely satisfied with the experience! 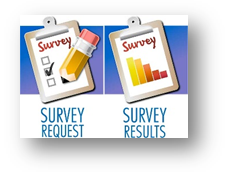 Check out the project manager and nonprofit survey results. Thank You to Our PMDoS 2016 Sponsors: Microsoft, M Powered Strategies and B&W! An all-volunteer, pro bono event of this magnitude would not be possible without the support of our sponsors. PMDoS 2016 was supported by 28 wonderful sponsors who generously provided the financial and in-kind support that made it possible for a second world-changing event! We would like to take the opportunity in each issue to thank a few of these generous sponsors without whom it would not be possible to change the world, one project at a time! In this issue, Project Management for Change would like to acknowledge Microsoft, M Powered Strategies and B&W, who have played their part in getting PMDoS off the ground and keeping it flying higher and higher each year! Microsoft loaned us the fabulous Surface Pro laptops for the teams, which were critical in giving the volunteers and NPOs the all-important tools and access they needed to get the job done! Not only does Microsoft make it possible to deliver winning projects with Microsoft Project, but Microsoft provides winning software, technology, and support. For more information, click here. M Powered Strategies, a founding sponsor and financial sup porter of PMDoS, is a leader in providing management support to Senior Executive Officers and their staff in some of the largest departments of the U.S. Federal Government, as well as providing much needed pro bono consulting services in their areas of expertise to area nonprofits. Check out MPS at here. Our third valued sponsor of this issue is B&W, another very generous supporter of Project Management for Change. B&W also gave away a certificate for their valuable services to a lucky raffle winner at the event! B&W provides world class services in the areas of vendor negotiations and strategic vendor relationship building. See more here. Help Us Do It All AGAIN! Donate on the PMDoS/PM4C website or take part in the Fundraising Effort to support your PMI Chapter, a colleague or team, or create a fundraising page. Sponsoring PMDoS is a great way for your firm to reach the tens of thousands of project managers and nonprofit organizations participating in PMDoS events both here and around the world. For more information or for customized sponsorship packages, email sponsorship@pmdos.org or see the Sponsor Page. 3. Support PMDoS while you shop! When you shop at smile.AMAZON.com, a portion of all Amazon sales will be donated to PM4Change. Shop Now. Help spread the great work of PMs in our area! Reach out to fellow project managers and ask them to sign up as volunteers, donate, fundraise or encourage corporate sponsorship! Together, we raise the profile of project management while helping nonprofit organizations in our communities do more! 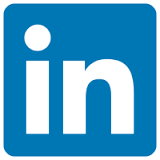 LinkedIn Users - Follow Project Management for Change then Like/ Comment/ Share the PMDoS updates that will appear on your LinkedIn account. Twitter users please follow @PMDoS16 and retweet postings. Facebook users please Like/ Comment/ Share our posts to the Project Management Day of Service page. Watch the PMDoS Founders explain the good work of PMDoS! Support PMDoS while doing your AMAZON shopping! Thanks to our top level sponsors! SPONSORS – YOUR COMPANY LOGO COULD BE HERE!